Subscribe to get deals from hundreds of merchants including the best of Farfetch! Oops! Looks like there are no active promotions for Farfetch. Valid till 31 Oct 2018, for full-priced items. Limited to one-time use per customer. Not valid for all Gucci and other selected brands, Fine Watches and Jewellery. Valid for orders with shipping addresses to Singapore only. General terms and conditions apply.. Please always check with the merchant on the validity of the promotion before purchase. 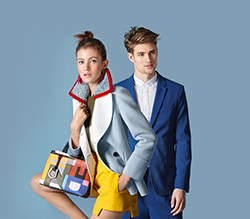 Enjoy 15% Cashback at Farfetch via ShopBack every Wednesday with your Standard Chartered Card. Step 1: Go to www.shopback.sg/sc-promo and enter your first 6 digits of SC Card. Step 2: Click on any store and get redirected to store's site. Step 3: Shop as per usual on store's site and make your purchase. Step 4: Get Cashback in your ShopBack account within 48 hours. Step 5: Request for payment and ShopBack transfer money to bank account for free.